DEAL EXPIRED: For two days only, Apple authorized reseller Adorama is slashing the price of the 2015 13" MacBook Pro (2.7GHz, 8GB, 128GB) to just $1,124.00 with promo code APINSIDER when used with the links in this post. Normally $1,299.00, this $175 discount offers shoppers the lowest price on a 2015 13" MacBook by $50. What's more, Adorama will not collect sales tax on orders shipped outside NY and NJ — and shipping is free. DEAL EXPIRED: This week, Apple authorized reseller B&H is taking $550 off Apple's Late 2013 27" iMac (3.2GHz, 8GB, 1TB HDD, GT 755M), bringing the price down to $1,249.00 with free expedited shipping. On top of the instant cash savings, B&H will not collect sales tax outside of NY and NJ, making it a great option for students going back to school. According to our Mac Price Guide , this deal is $177 cheaper than buying from another authorized reseller. DEAL EXPIRED: Having sold out before, PayPal Digital Gifts is once again offering shoppers $15 off $100 iTunes codes on eBay, bringing the price down to $85.00 . These codes are redeemable for apps, games, music and more. On top of that, delivery is via email and most customers receive the codes within minutes of purchasing. This offer is expected to sell out. DEAL EXPIRED: In need of a 12" MacBook? Apple's Early 2015 model is $400 off on eBay while supplies last, bringing the price down to $899.00 with free shipping (and making this deal $190 cheaper than buying from an authorized reseller per our Mac Price Guide ). According to the top rated seller, these systems are brand-new in the original packaging. DEAL EXPIRED: This week, Apple authorized reseller B&H is taking $400 off Apple's Late 2013 21" iMac, bringing the price down to $899.00 with free expedited shipping. 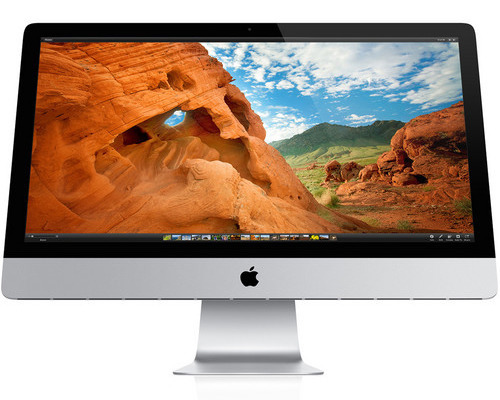 This deal offers shoppers the lowest entry price on an iMac from an authorized reseller by $150 per our Mac Price Guide . Plus, B&H will not collect sales tax on orders shipped outside NY and NJ. DEAL EXPIRED: Adorama this week is taking $149 off Audeze's Sine headphones with a Cipher Lightning cable exclusively for AI readers, bringing the cost down to $350.00 with free shipping. To take advantage of the discount, use the links in this post with promo code APINSIDER. Plus, on top of the coupon savings, Adorama will not collect sales tax on orders shipped outside NY and NJ, which means shoppers outside these two states can save $190 on average compared to paying full price with tax at the Apple Store. DEAL EXPIRED: Now through Sept. 30, snap up an iPhone case or Apple Watch band at Case-Mate and take advantage of 15% off the entire store with AppleInsider exclusive coupon code APPLEINSIDER15. On top of the coupon savings, shipping is free across the entire site as well. DEAL EXPIRED: While supplies last, Apple authorized reseller B&H is slashing the price of 4GB 13" MacBook Airs (Early 2015) by up to $370 and throwing in a free AppleCare extended protection plan (a $250 value). According to our Macs with AppleCare Price Guide , these are the lowest prices available from an authorized reseller and the best deal we've seen on both configurations to date. On top of the instant cash discounts and free AppleCare, B&H will not collect sales tax on orders outside NY and NJ — and expedited shipping is free as well. These models are expected to sell out quickly. With more than 88% sold, there are limited quantities remaining of these refurbished 16GB Apple iPad 2 tablets (Wi-Fi Only, Black) on eBay for $139.99 with free shipping. Retailing for $399 new, these devices are $260 off original MSRP. Looking for a newer iPad? Be sure to check out our iPad Price Guide for the latest deals. DEAL EXPIRED: Need to run Windows on your Mac? Parallels Desktop for Mac offers a variety of tools to make the most out of both operating systems on one machine. For a limited time, save $10 on Parallels Desktop for Mac with promo code 3M1-TF3-25Q . Offer end date is unknown. DEAL EXPIRED: Need a powerful desktop? Trending on eBay this week is Apple's latest 27-inch iMac 5K (3.3GHz, 8GB, 2TB, M395), which is marked down to $1,899.99 with free shipping. At $400 off MSRP , this deal is $180 cheaper than purchasing from an authorized reseller per our Mac Price Guide . And, according to the Top Rated Plus seller, the systems are brand-new in the original packaging. Apple authorized reseller Adorama is knocking $200 to $700 off Late 2016 13" MacBook Pros without a Touch Bar when using the links below and applying promo code APINSIDER during checkout. What's more, Adorama will not collect sales tax on orders outside of NY and NJ. According to our 13-inch MacBook Pro (Late 2016) Price Guide, these are the lowest prices available anywhere. In total, shoppers outside of NY and NJ can save between $320 and $910 when compared to paying full price with tax at the Apple Store. DEAL EXPIRED: While supplies last, shoppers can save $400 on Apple's current 15" MacBook Pro (2.2GHz, 16GB, 256GB), bringing the price down to $1,599.99 . The Top Rated Plus seller states the laptops are brand-new in the original packaging, which makes this deal $148 cheaper than purchasing from an authorized reseller (according to our Mac Price Guide ) and $559 cheaper on average compared to purchasing the same model at the Apple Store at full price with tax. DEAL EXPIRED: Apple authorized reseller B&H this week is slashing prices on 13" MacBook Airs with instant discounts from $100-$330 off MSRP . In addition to the cash savings, B&H is also throwing in free gifts, such as Office 365 and/or Parallels Desktop 12 for Mac (OEM). On top of that, the systems also qualify for free expedited shipping and B&H will not collect sales tax on orders shipped outside NY and NJ. According to our Mac Price Guide , these are the lowest prices available from an authorized reseller on the configurations linked below by $25-$70. DEAL EXPIRED: For a limited time, shoppers can save $100 on the 16GB iPhone 6 Plus in Silver, bringing the price down to $549.99 with free shipping. According to the seller, these GSM unlocked models are brand-new and are $150 cheaper than paying full price at the Apple Store (with tax). Need to trade in a device? Check out our iPhone and iPad Trade-in Guide for trade-in values on Apple devices. DEAL EXPIRED: This week, Apple authorized reseller B&H is exclusively taking $350 off the Early 2015 13-inch MacBook Air for AppleInsider readers, bringing the price to $849.00 . What's more, B&H is also throwing in a free copy of Office 365, a $69 value, and B&H will not collect sales tax on orders outside of NY and NJ. Plus, the bundle qualifies for free expedited shipping. According to our Mac Price Guide , this deal offers the lowest price available from an authorized reseller without even factoring in the free gift. Offer ends Sept. 12. DEAL EXPIRED: While supplies last, Apple's current 13" MacBook Air (1.6GHz, 8GB, 256GB) is marked down to $939.99 with free shipping on eBay. This equates to a $260 discount off MSRP (and is $159 cheaper than purchasing from an authorized reseller per our Mac Price Guide ). According to the Top Rated Plus seller, the systems are brand-new in the original packaging. At press time, more than 63% have been sold. DEAL EXPIRED: Exclusively for AppleInsider readers, Apple authorized reseller B&H is taking $200 off Apple's Early 2015 13" MacBook Air (1.6GHz, 4GB, 128GB), bringing the price down to $799.00 . On top of the instant cash savings, B&H is also throwing in a free 1-year subscription to Office 365 Personal, a $69 value. What's more, expedited shipping is also free, and B&H will not collect sales tax on orders shipped outside NY and NJ. According to our Mac Price Guide , this deal is the lowest price currently available from an authorized reseller (by $100) without even factoring in the free gift. Offer ends Sept. 12. DEAL EXPIRED: While supplies last, eBay has Apple's current 13" MacBook Air (1.6GHz, 8GB, 128GB) for $789.99 with free shipping, a discount of $210 off MSRP. According to the Top Rated Plus seller, the systems are brand-new in the original packaging, which makes them $110 cheaper than buying from an authorized reseller per our Mac Price Guide . DEAL EXPIRED: This week, Case-Mate is slashing Apple Watch bands by 50% with coupon code 50OFFBANDS. Choose from a variety of styles for both 38mm and 42mm Apple Watches , including the Alligator band pictured. Plus, on top of the coupon savings, shipping is free throughout the store. DEAL EXPIRED: With exclusive savings at Adorama this week, AppleInsider readers can save $750 on the Early 2014 27" iMac with a Retina 5K display, bringing the price to $1,649.99 with free shipping [?] . This configuration features a 3.5GHz processor, 8GB of RAM, a 1TB Fusion Drive and AMD M290X graphics for enhanced performance. Plus, on top of the instant savings, Apple authorized reseller Adorama will not collect sales tax on orders shipped outside NY and NJ, making it the lowest price available from an authorized reseller (by $50), according to our Mac Price Guide . To qualify for the deal, shoppers must be an existing Adorama customer [?] . This week, top rated eBay seller electronicsvalley is taking $270 off Apple's current 13" MacBook Pro (2.7GHz/8GB/128GB), bringing the price down to $1,029.99 with free shipping. According to the seller, the systems are brand-new in the original packaging, which makes this deal $140 cheaper than buying from an authorized reseller per our Mac Price Guide . DEAL EXPIRED: Looking for the lowest price on a 13" MacBook Air? Top rated eBay seller, electronicsvalley, has the 8GB 13" Air with 128GB of storage for $799.99 , a discount of $200 off MSRP . On top of the instant savings, shipping is free. According to our Mac Price Guide , this deal is $100 cheaper than buying from an authorized reseller. Limited quantities are available. DEAL EXPIRED: With limited quantities available, Apple authorized reseller B&H is slashing the price of the 38mm Apple Watch featuring a Stainless Steel case and red Sport band. Currently on sale for $349.00 , a discount of $200 , the Apple Watch also qualifies for free expedited shipping. And on top of that, B&H will not collect sales tax on orders shipped outside NY and NJ. According to our Apple Watch Price Guide , this is the lowest price available from an authorized reseller. DEAL EXPIRED: While supplies last, Top Rated Plus eBay seller 232tech is taking $60 off Apple's 64GB iPhone 6s (GSM Unlocked), bringing the price down to $689.99 with free shipping. According to the seller, the phones are brand-new in the original packaging. As of press time, over 95% have been sold, but all four colors are still available. DEAL EXPIRED: For a limited time only, Apple authorized reseller B&H is slashing the price of the 16GB iPad Air 2 (Wi-Fi Only) in Gold by $40, bringing the price down to $359.00 with free expedited shipping. What's more, B&H will not collect sales tax outside of NY, which makes this deal the lowest price available from an authorized reseller by $40, according to our iPad Price Guide , and the lowest entry point to an iPad Air 2. DEAL EXPIRED: As students head back to the classroom, chances are screen protectors and sturdy cases are on the back-to-school shopping list. ZAGG , known for their protective gear, is taking 30% off the entire store and tacking on free shipping as well for U.S. customers. From the InvisibleShield HDX to the Slim Book for the 12.9" iPad Pro, ZAGG is offering instant cash savings across every category. Offer ends August 29. DEAL EXPIRED: While supplies last, top rated eBay seller, gearxs, has refurbished Beats by Dr. Dre Studio 2.0 headphones for $99.99 with free shipping, a discount of $200 off MSRP . Currently three colors remain (blue, red, and silver) and over 90% have been sold. DEAL EXPIRED: For two days only (or while supplies last), Daily Steals has the 32GB 12.9" iPad Pro (Wi-Fi Only, refurbished) for $589.99 after applying $10 off promo code cheapschool. Plus, it comes with a 2-year extended warranty. Normally $799.00 new, this deal is the most aggressive discount seen to date on this particular model and $150 cheaper than purchasing the same model new from an authorized reseller, according to our iPad Price Guide . At press time, Silver and Space Gray are available.